Ted Lazaris is an American, Amazon best-selling author, with seven best sellers to his name, so far. Question: What do C.S. Lewis, L. Frank Baum, J.K. Rawlings, J.R.R. Tolkien, and Stan Lee have in common? 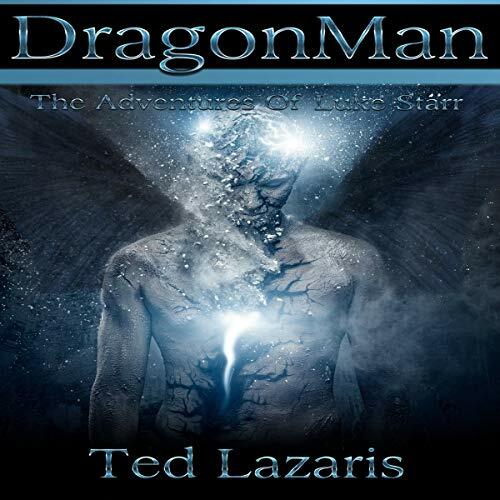 Answer: In some way, shape or form their magical characters find a presence in Ted Lazaris's Dragonman, The Adventures of Luke Starr. The similarities are irreverent and fun; Dorothy's adventures in Oz (in Baum's outstanding series of books, not the 1939 MGM movie) are no more strange and fantastical than young Luke Starr's trek through the mythical world of Spellville in search of his kidnapped friends. J.R.R. Tolkien's evil orcs and wizards are equally well represented by Lazaris's hag demons and gruelbores, and Luke falls afoul of as many odd creatures in Spellville as Harry Potter does at Hogwarts. But the journey for Luke is not so much a mission of mercy as one of self-discovery. For despite his humble Midwest origins, Luke is no ordinary teenager. Imbued with super powers following a ritualistic exchange of blood with a dragon, Luke soon discovers the awesome legacy of his birthright and must learn to accept the fact that he is known in this other world as the Chosen One. Still, in the tradition of Marvel Comics' Stan Lee, creator of modern superheroes like Spider-Man and Silver Surfer, Lazaris's Dragonman is unquestionably human, grappling with his doubts and fears even as he sets off to save Earth from alien beings hell-bent on destruction. "My book is about good fun and a means of escaping your daily routine," Lazaris tells his fans, and keeps his promise by delivering a fast-paced fantasy in which the epic struggle between good and evil rests squarely on a likeable hero's young shoulders. Loveable characters and an amazing narrator. This book takes you through a great adventure but sometimes the pacing can be slow. The book takes elements of other books and meshes them together in one. On to the next in the series.